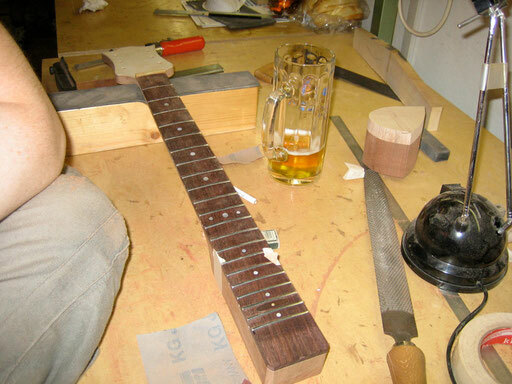 THE MAKING OF MY STRATMANN PAULA part 2 - guitarfritzs Jimdo-Page! 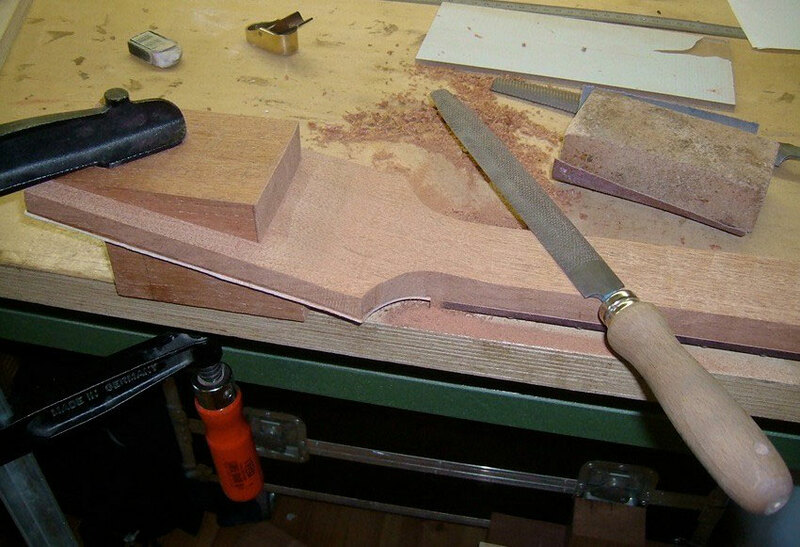 sawing a piece of mahogany off the neck blank. This is the headstock`s back angle. 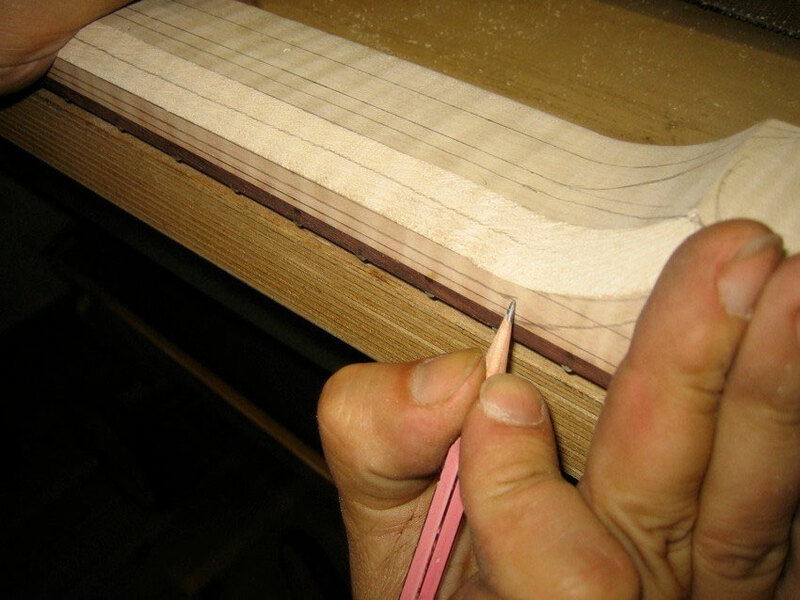 the veneer has no purpose other than to look good. Not all guitar companies glue the frets in. Some think it is good enough just to press them in. We used a hammer instead after the glue had been applied. Thomas and Paul practicing hard for the German national football team. Before starting to shape the neck contour some beer helped to work on the belly contour. 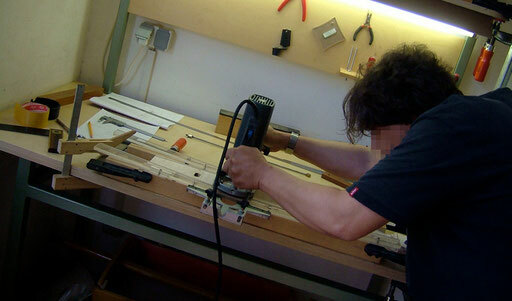 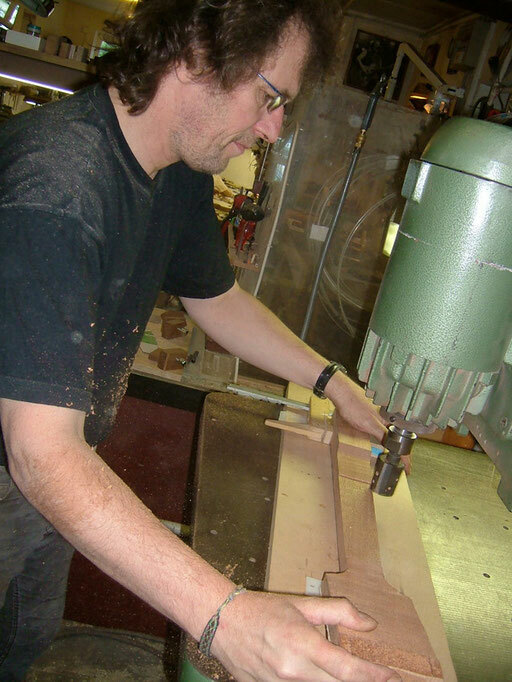 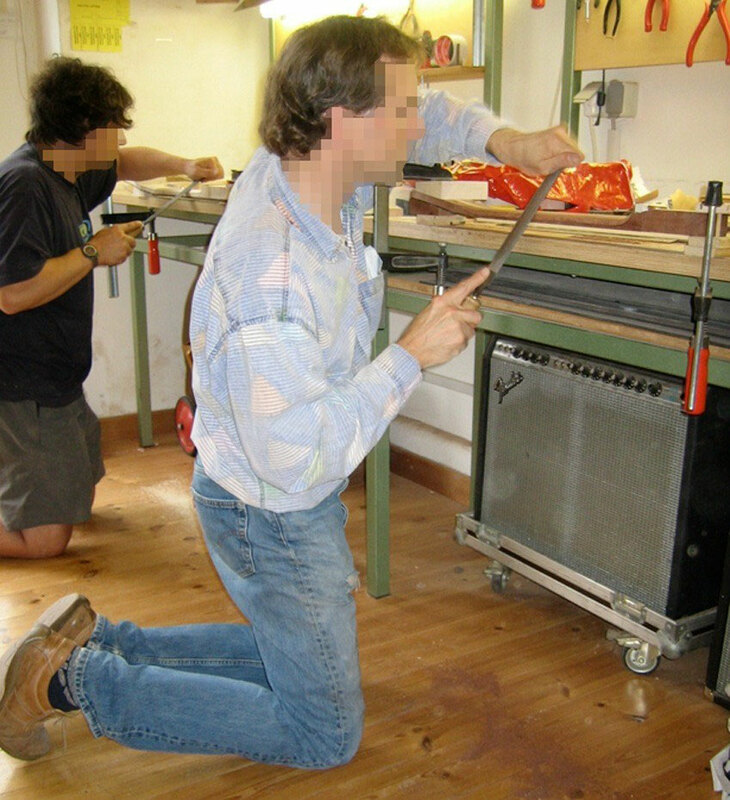 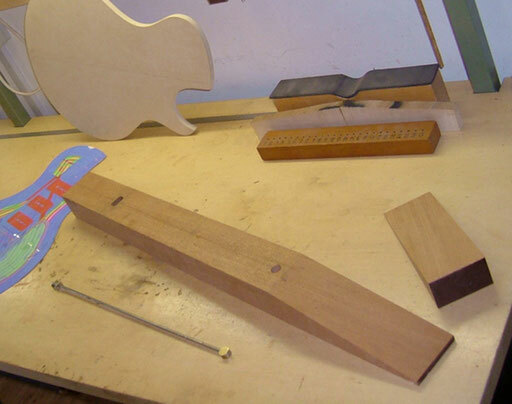 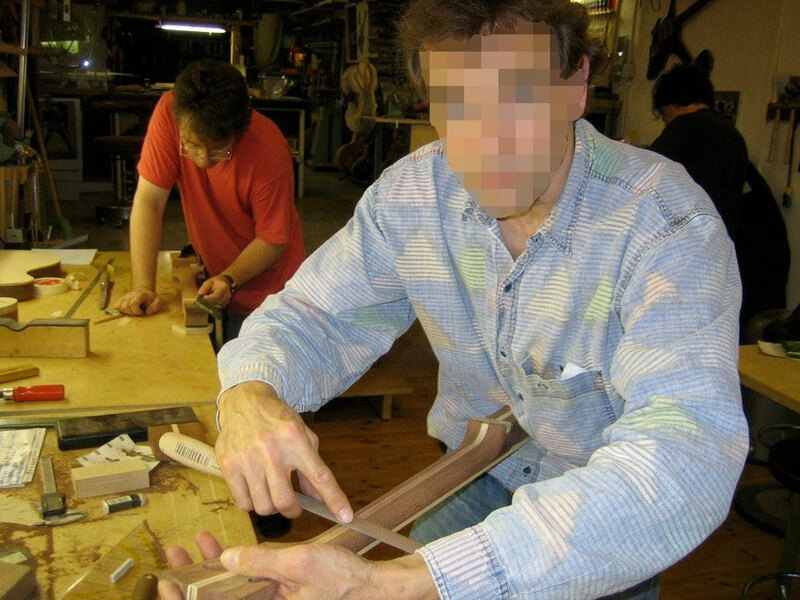 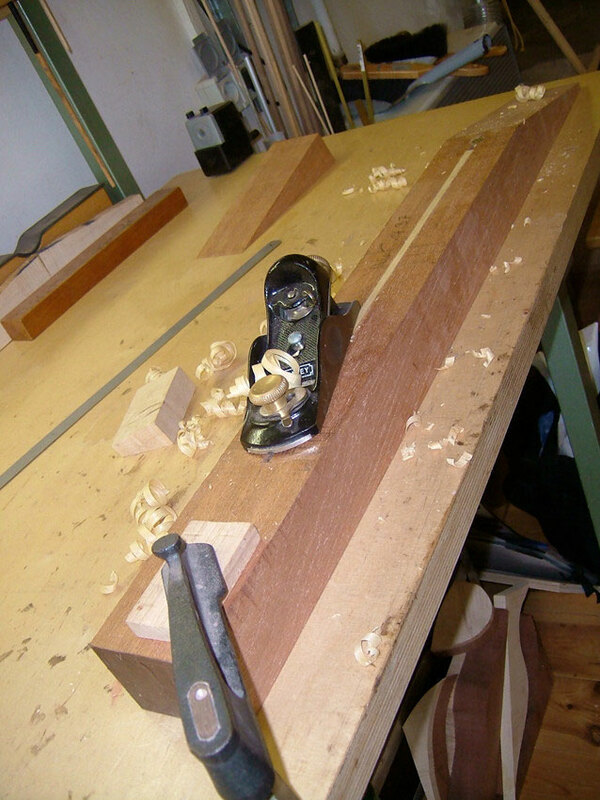 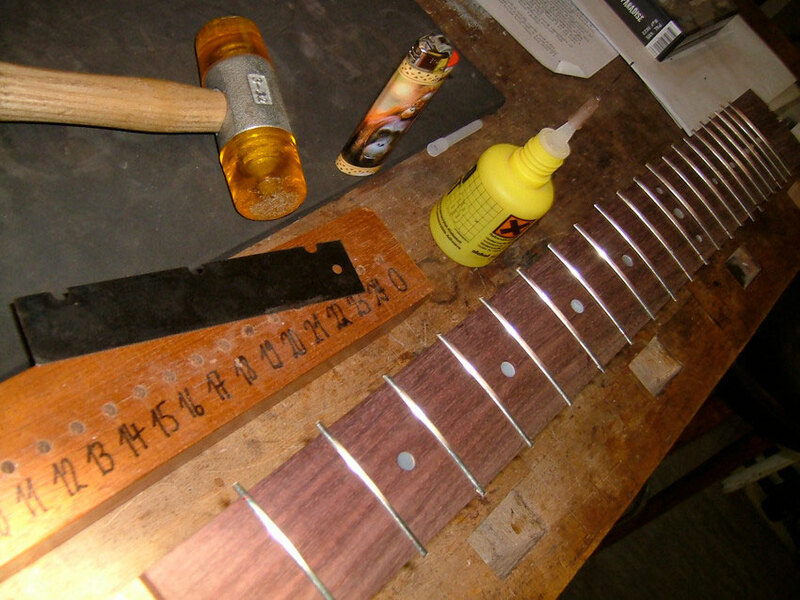 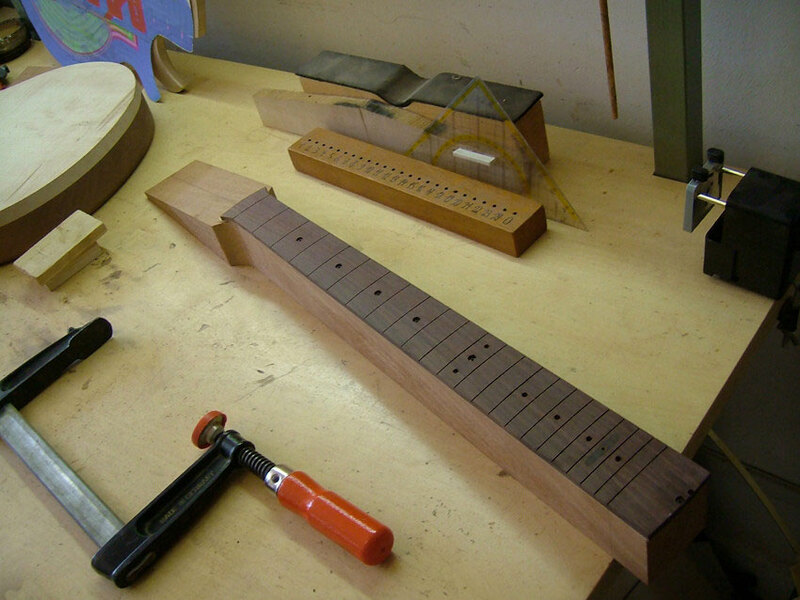 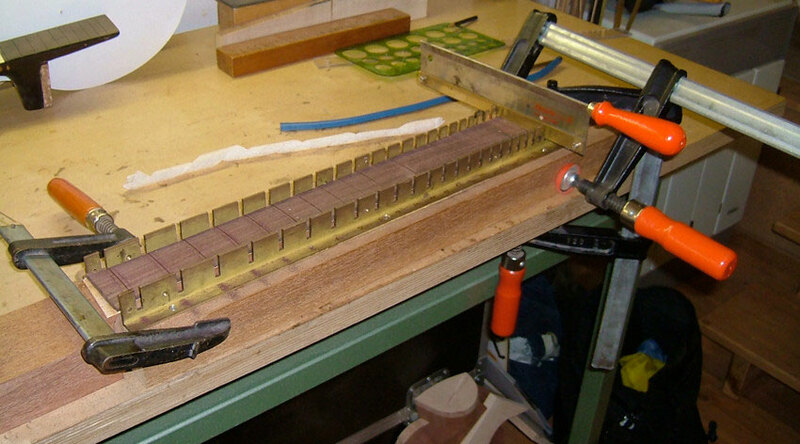 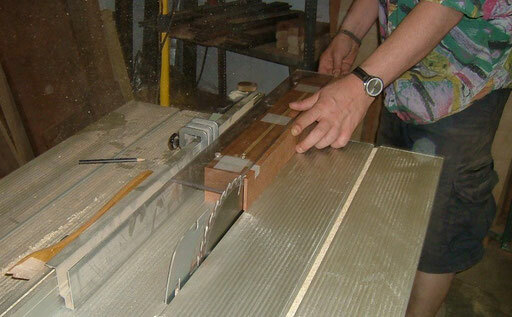 ...but first Thomas routed the neck`s and headstock`s exact thickness. 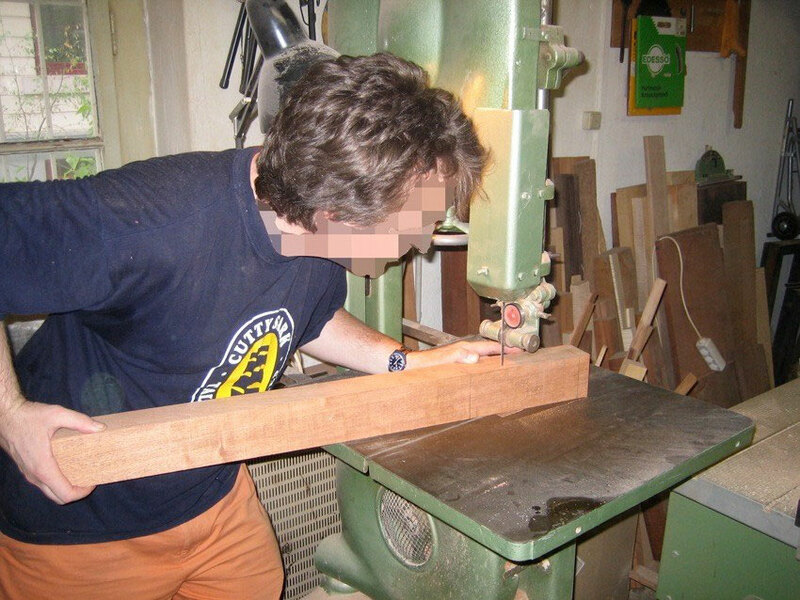 Of course you can`t see how damn fast this terrible router bit is rotating. 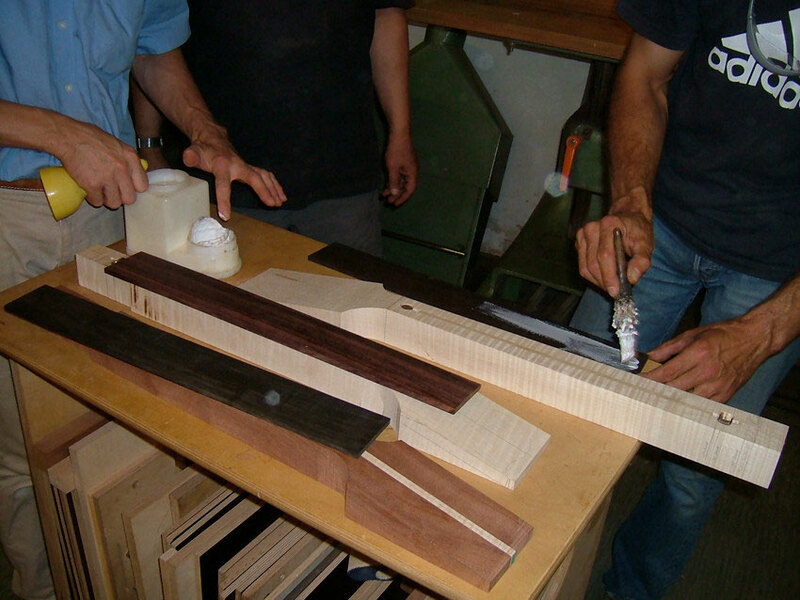 the rest is done by hand. 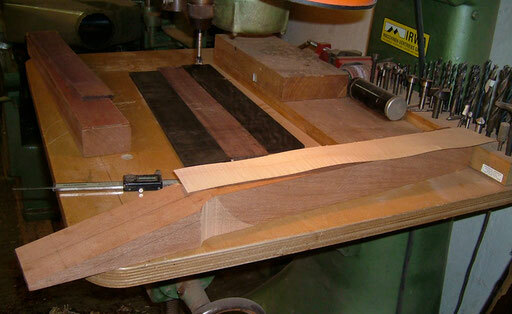 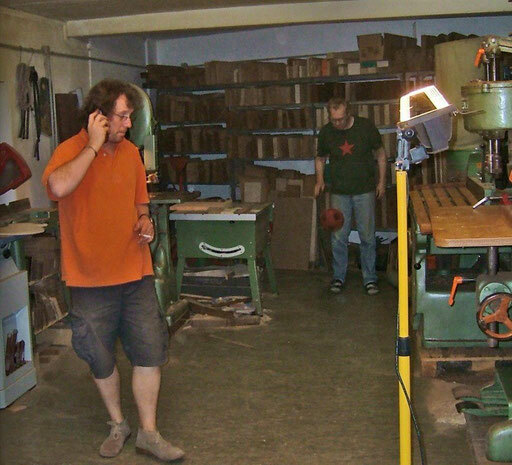 Note that the triangular headstock piece that had been sawn off first is back in use here. This job is ridiculously coarse for our dentist while Guitarfritz has to wear two pairs of glasses to work as precisely as he possibly can.